Phoenix, AZ – Dec 7, 2017 – ABI Multifamily, the Western US's leading multifamily brokerage and advisory services firm, is pleased to announce the $3,050,000 / $63,542 Per Unit sale of the Wilshire Place Apartments located in Phoenix, AZ. The property is a two-story, garden-style apartment community built in 1983 of block construction with pitched roofs and rests on 1.22 acres. The property boasts an attractive unit mix of 24 – 1 bedroom and 24 – 2 bedroom unit types with a weighted average size of 700 square feet. The property is individually metered for utilities and all 48 units have been fully upgraded with new appliances, maple wood cabinets, granite countertops, and vinyl wood plank floors. Exterior features include a community pool and an attractive and improved courtyard. Residents of Wilshire Place enjoy excellent access to schools and parks and is in close proximity to the metro light rail and shopping malls. The property is also only three miles from Grand Canyon University, which since 2009, has invested $480 million into the university and has plans to expand its campus to over 25,000 students in the next few years. 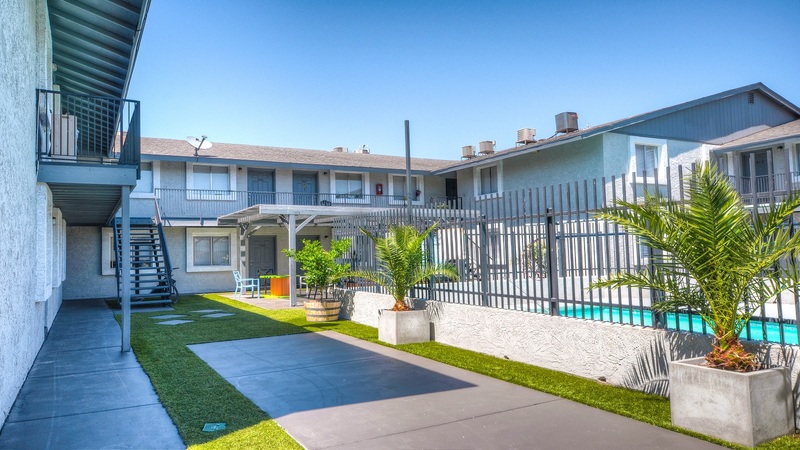 The multifamily brokerage team of Nathan Bruer, Ryan Smith, John Kobierowski, Rue Bax, Alon Shnitzer, Eddie Chang, and Doug Lazovick represented both the Buyer and Seller in this transaction.